This next car is a tribute to all those Datsuns that've gotten Ford V8s shoved into their engine compartments, because a swap cool the first time you see one, but sorta lame the 50th time. 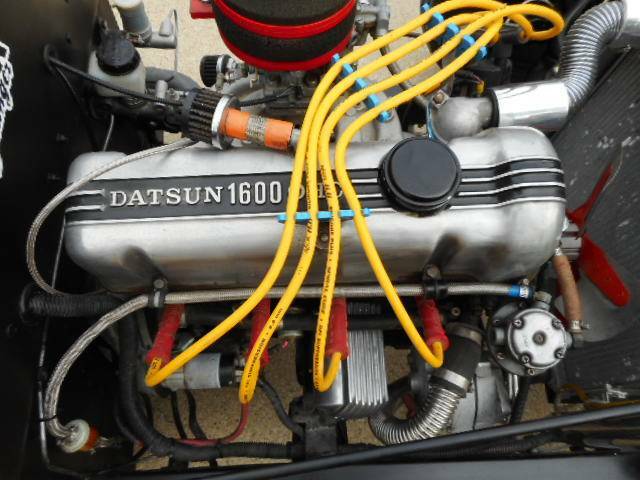 And I've got to admit that I don't think I've seen a Datsun 510 powertrain shoved into Model T...have you? 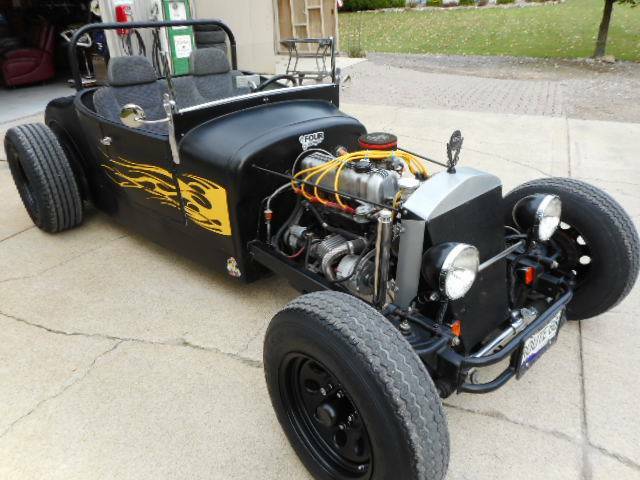 Find this 1927 Ford T-Bucket Roadster offered for $10,700 in Washington, MI via craigslist. Tip from Rock On! This eng. is strong and won't break so you can rev the hell out of it. The frame is custom hand made 2x3 mild steel. Very strong. Has a heights mustang 2 front end. Alum. rad. Body has a 3" strech w/ and extra 5" depth to the floor. (good room) Removable steering wheel. Has a trunk and lots of room behind the seat. The tires & rims are brand new, the gauges are regular vdo w/ the Ford insignia stamped on the botton. I know there's more so please just ask. Call or text Mike @ show contact info . If I get the asking price or close to it I will ship for free! The tires shown in the pics are not the tires on this they are Front: 165/80/15 Rear: 255/70/15 Like I had said they are brand new. If I receive this price I will pay for the shipping!!! Just plain weird. Props for thinking outside the box, I guess. Not sure how I feel about it because I love Datsuns and have come around to T-buckets in recent years, but... together? I don't hate it, but I'm not sold on it. Just because you've mixed your chocolate and your peanut butter, doesn't mean you've made a Reese's. I'm sure it's a hoot to drive, but every time you stop for gas you're going to have to field a bunch of questions and do some explaining. Not to mention if you bring it to a show or cars & coffee. My bet is that it's more welcome at a Datsun meet than a hot rod gathering. I have occasionally toyed with the idea of building some sort of ultra lightweight car along the lines of a lotus seven, and in many places it’s a lot easier to register something as a Ford model T if you use a Ford model T fiberglass body which must be about as lightweight and “oh, it looks sort of like a T so I guess it’s a T” . Also, glass Ts are a lot cheaper and easy to plop down on some arbitrary wheelbase and track than say a type 61 birdcage body. So maybe this is just the path of least resistance much like the original T hot rods. I was thinking Bluebird school bus at first. Maybe a nice International DT466 6-cylinder diesel. Would weigh more than the car. I have no problem with it. Unusual? Certainly. Unique? I think so. Why build the same car as 10000 other guys? I'd drive it. Might get some glares from the occasional guy but who cares? He builds what he wants, I'd build what I wanted if I had the skills.